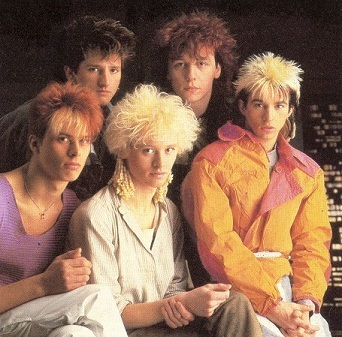 Kajagoogoo actually found a way to keep their hair frizzy without using cans upon cans of aquanet. Maybe that's why they were a one-hit wonder? It was too painful to be a long-lasting band like Queen? I may not comment much, but you can believe I check out your every post! Everything was going so well for Limahl until the press found out he shared a flat with disc jockey Paul Gambaccini during his heyday, leading to rumours in the tabloid press that the two were lovers, a claim which both denied. Nowadays that wouldn't matter, but then it did. I am in idiot. I deleted my first comment because I wrote it wrong! I love Kajagoogoo "Voices Carry". Lost - you're way too funny. Andrew - thanks, very sweet of you to say! Moo-Welcome to my blog and thanks! LL Cool- wow, for reals? I never knew that. Times were so diff back then. I wish curly hair was still in style. All you need was a perm and you were off and running. They sure had the hair going, didn't they? Love the song - and I remember it. OMG, the HAIR! I love that song though. The hair and the song both stir something deep inside me. Something like a fit of the giggles. AACK! It's one of those horrible songs that, once inside your head, doesn't leave for a long time!!! Trying to sing something else to myself right now so this ding dong song doesn't have a chance!